Student success coaching services provider InsideTrack has come up with a new suite of Re-Enrollment & Re-Entry offerings designed to help colleges and universities get former students back on track to complete their degrees. 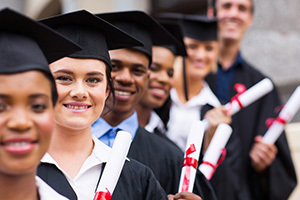 Targeting adults with some college credit but no degree or certificate, Re-Enrollment & Re-Entry combines InsideTrack's uCoach technology and analytics platform with executive-style coaching to "directly engage former students and help them navigate the enrollment process, define long-term goals and plan to overcome potential barriers to completion," according to the company. "Coaches conduct multi-channel outreach campaigns, using the platform's voice, e-mail, text and other communication capabilities, then work with re-engaged students to design plans for graduating prepared for meaningful careers." "Fulfilling our mission means ensuring that all of our students graduate prepared for global citizenship and individual excellence, including those who have had their education disrupted by life's many competing demands," commented Michael Cottam, associate vice president for academic affairs and director of the Online Learning Center at Webster University, in a statement. "That is why we're working with InsideTrack to provide tailored support to students who have stopped out, so they can resume their studies and achieve their full potential." InsideTrack has more than a decade of experience supporting institutions such as Penn State World Campus, Brandman University and Webster University in re-enrolling former students and preparing them to overcome the obstacles to postsecondary education success, the company said. "In a recent effort with the online division of a major public university, 997 of the 2,078 former students contacted re-enrolled, at an average cost of $216 per student." "Adults with some college, but no credential represent one of America's greatest untapped resources," said Pete Wheelan, CEO of InsideTrack, in a statement. "Unlocking their potential by supporting them in finishing what they started benefits those individuals, their families and communities, and our nation as a whole. It also supports colleges and universities in fulfilling their missions, while providing much needed revenue in a time of great fiscal uncertainty." For more information, visit the InsideTrack site.